Designed to be used in poly bag packaging applications where tie-in to infeed systems such as counters and scales is not required, the AB 145 is a cost-effective bagger for hand-load and semi-automatic bag filling and sealing. The Autobag AB 145 bagger is easy to use and capable of bagging at speeds up to 45 bags per minute, with bagging consistency, dependability and speed at an affordable price. 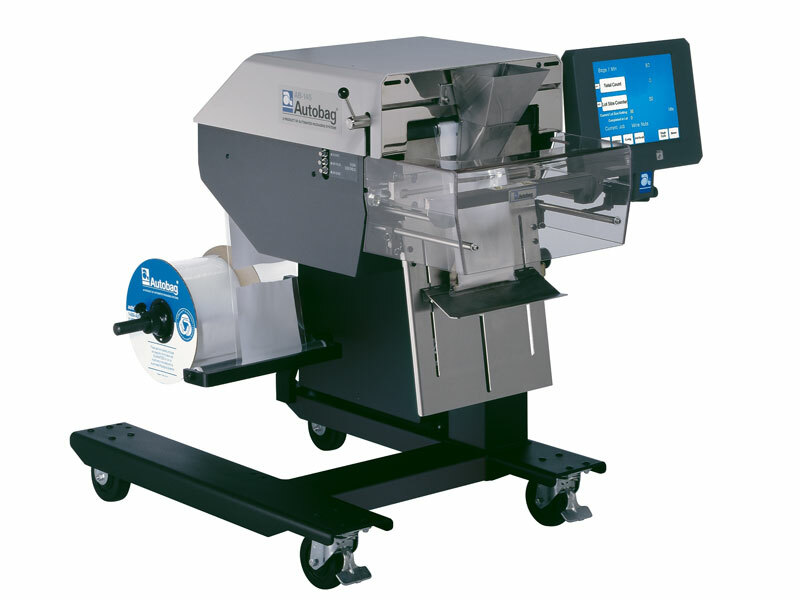 Utilizing Autobag pre-opened bags-on-a-roll, the AB 145 gives maximum packaging flexibility with its ability to change bag sizes in less than two minutes, making it ideal for parts kit bagging where packaging operations need variable run lengths, but require speed and packaging consistency. W 3.5 to 11 in. L 3.5 to 22 in.